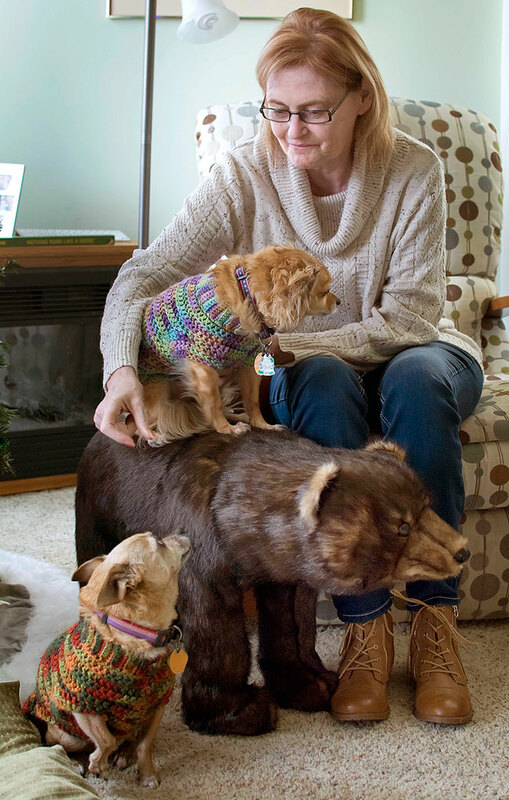 Abby and the dogs, dressed the sweaters Abby made for them, pose with the new bear footstool, Rocky Mountain Road. My wife Abby bought a Christmas gift for herself recently, and it arrived yesterday. It is a bear footstool, which she named Rocky Mountain Road, an homage to our Chihuahuas, Sierra Kayenta Avenue and Maximum Speed Boulevard. Sometimes the best gifts are the ones we get for ourselves. Now I wish more than ever that we still had The Bear Chair.